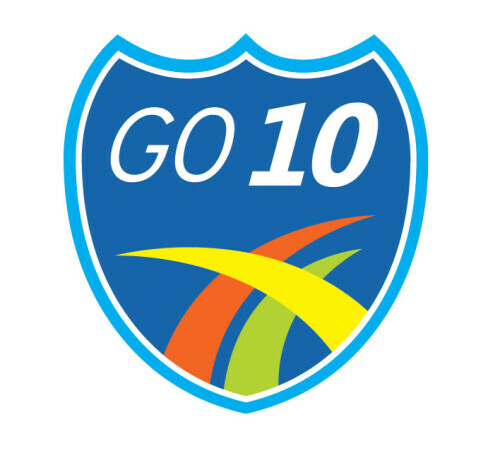 GO 10 is a $158 million reconstruction project of I-10 between Executive Center and North Mesa. 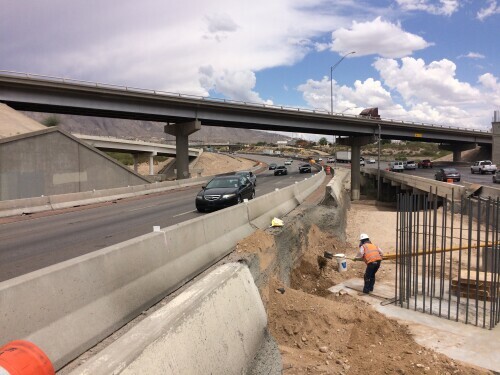 It is a TxDOT project that will completely transform the landscape of I-10 on El Paso Texas's Westside. 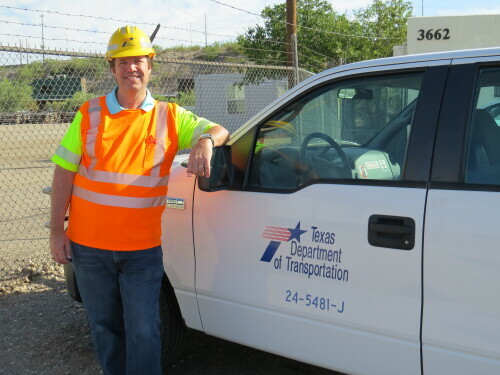 Timothy F. Twomey, P.E., is the West Area Engineer for the TxDOT El Paso District. He oversees the GO 10 project. He is a 1986 graduate from the University of Texas at El Paso and has been a TxDOT employee for the past 28 years. Since 2003, he has worked behind the scenes making sure construction projects are performed on time, on budget and most importantly with your safety top of mind. 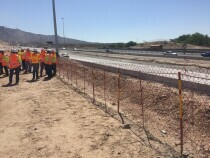 For GO 10, Tim understands the impact construction activities will have on the traveling public, and that is why he has committed to writing a blog for the GO 10 website at www.go10elpaso.com. 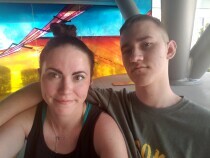 The blog allows him to communicate, in his own words, the status of the project. He asks that everyone please drive friendly, be patient, know the alternate routes, and consider using other commuting solutions. 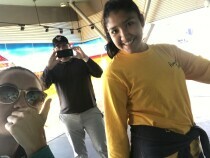 Keep in mind that the final product will be worth today's temporary inconveniences. you can see the replacement ramp taking shape alongside the existing ramp. Ever wonder how bridges are built? This image captures part of the process. Crews pour concrete onto the Paisano (US 85) Bridge deck panels by using tubes that pump concrete up onto the bridge from trucks below. 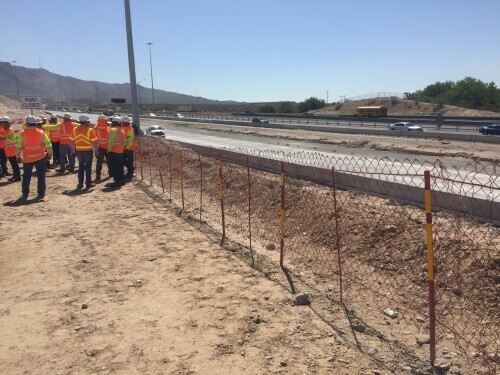 Workers complete improvements outside of traffic close to I-10 Westbound near Sunland Park. 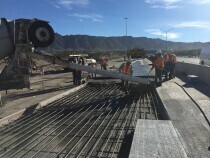 Crews are placing concrete for the new CD lanes alongside three lanes of I-10 traffic. Crews spent Sunday, Aug. 14, 2016 demolishing the Buena Vista Bridge, aka the Bridge to Nowhere. 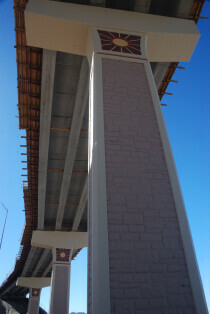 To protect the I-10 pavement, they covered the lanes with wood boards and a thick layer of sand. 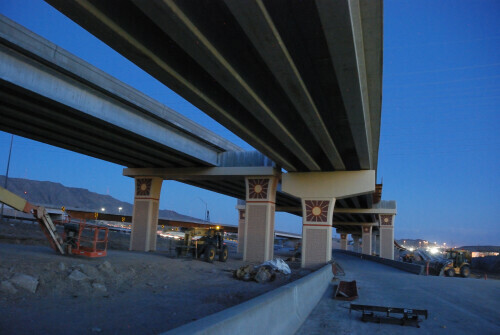 The existing Resler Flyover Ramp in El Paso Texas will be replaced with this new ramp. 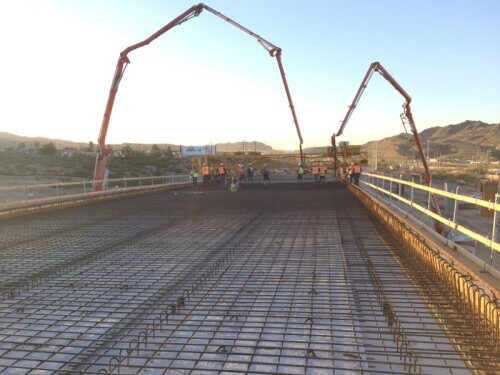 In April and May of 2017, crews began pouring the bridge deck. The direct connector ramps from I-10 Eastbound to US 85 near Sunland Park will improve traffic flow, increase traffic capacity and safety, and ultimately complete Loop 375. 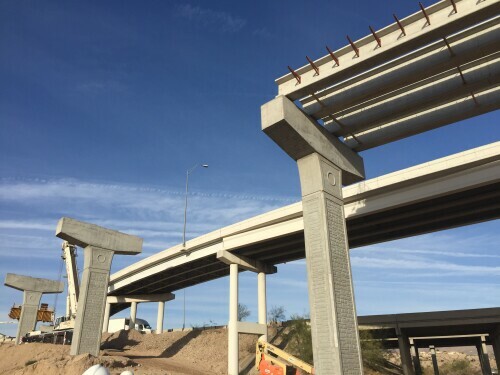 The ramps should be open to traffic by 2019. The Dragnet system is a cable net anchored into the ground at each end. 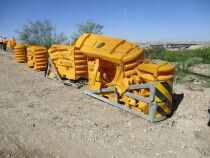 It is used to prevent rogue vehicles from entering a work zone. 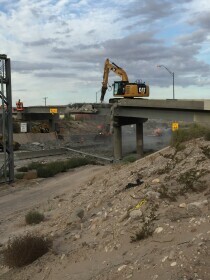 GO 10 crews extend it across I-10 whenever they need to close I-10 lanes. The system can stop a semi-truck moving at 65 miles per hour. 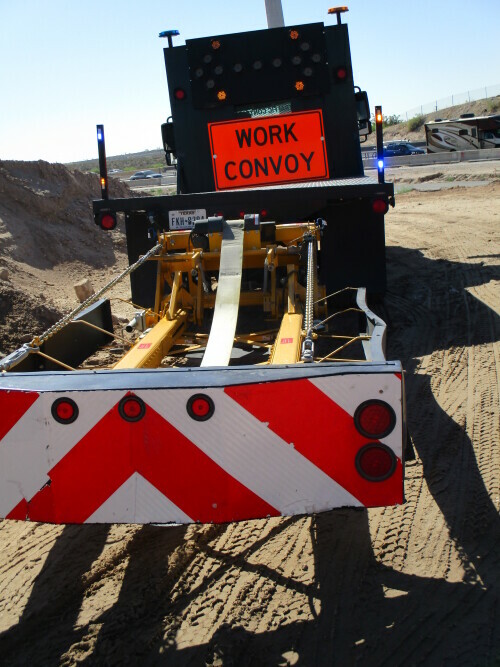 Truck-mounted attenuators, like this one, are used to protect workers while they work on roadway pavement. It absorbs the impact of an oncoming vehicle and can save lives. 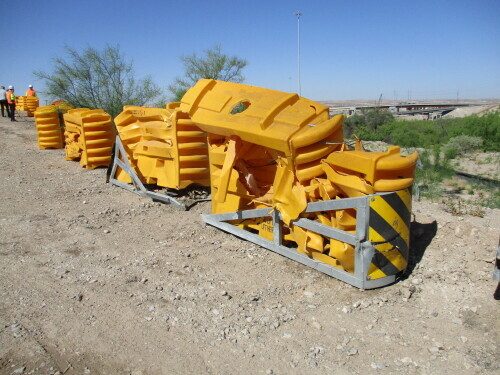 These wrecked attenuators were on display at the Work Zone Safety Week Event held by TxDOT on April 20, 2017. Crews demolished the I-10 East Overpass at North Mesa Street in March of 2017. 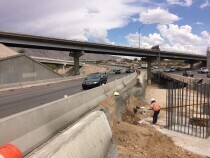 Traffic was diverted temporarily to the center median while crews re-built the improved overpass. The demo operation took 27 hours to complete. 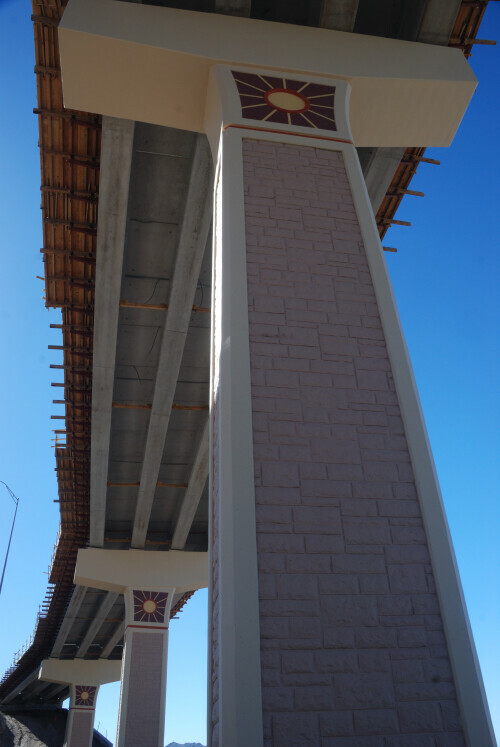 The new overpass could take about six months to complete. 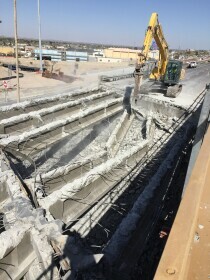 Then, the westbound I-10 Overpass will be next for demo and re-building. 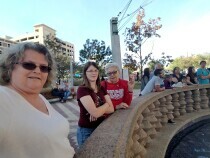 Located in the El Paso, Texas area. 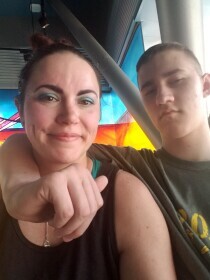 Amanda Reaper and son, Liam Cooley, visiting the digital wall. 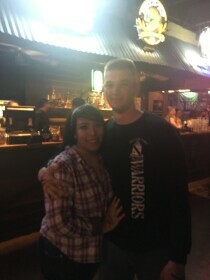 Enjoying a night out at the popular country themed bar Little Bit Of Texas. Jim Murphy and Victoria Sinclair at a fundraising -- location was Ben Bridge Jeweler - El Paso, Texas.